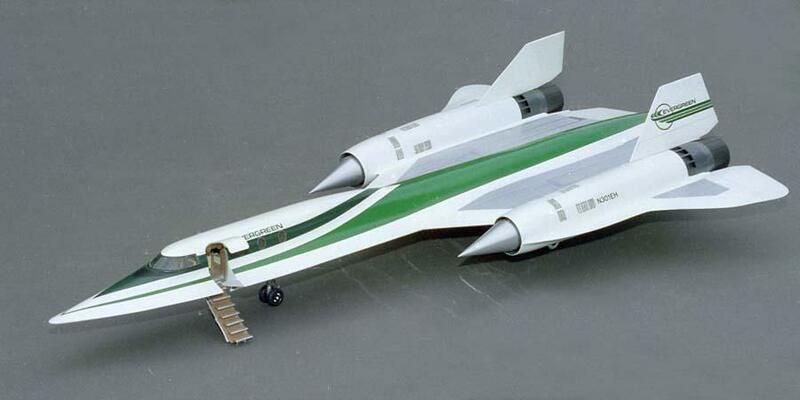 Lockheed L-1271-6 “what-if” six-passenger bizjet in Evergreen Aviation scheme. The idea for this came from a gab session with one of my fellow model club members circa 1991. I commenced to build it, finished it mid-1993. It is kitbashed (Moi? Kitbashing? Go figure!) 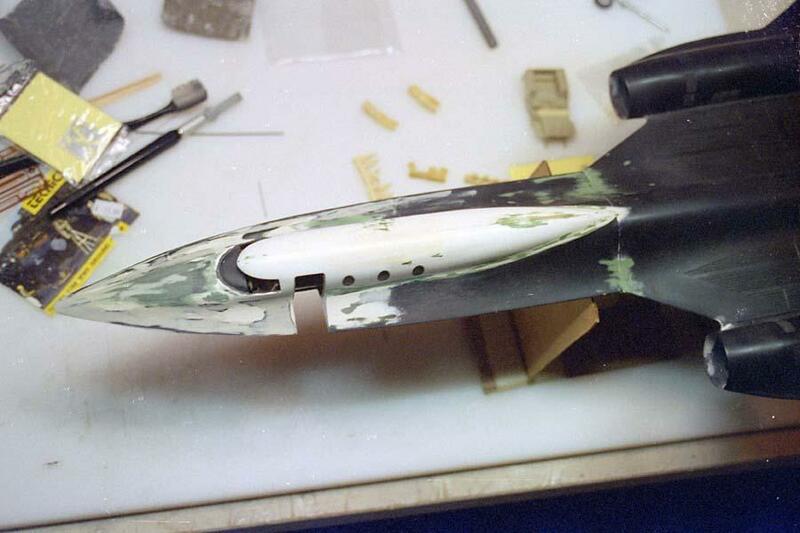 by patching a Hasegawa Falcon-10 48th fuselage into a Testors SR-71A. 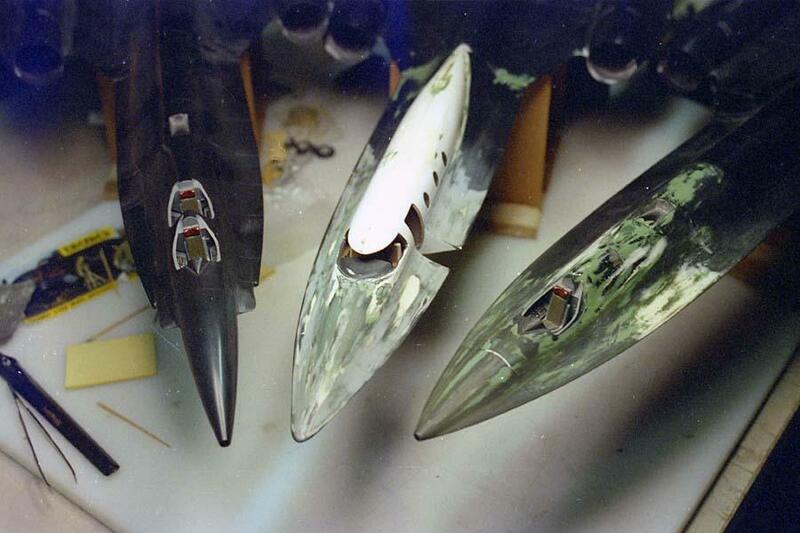 The cockpit and cabin are populated with the parts from the Hasegawa kit. 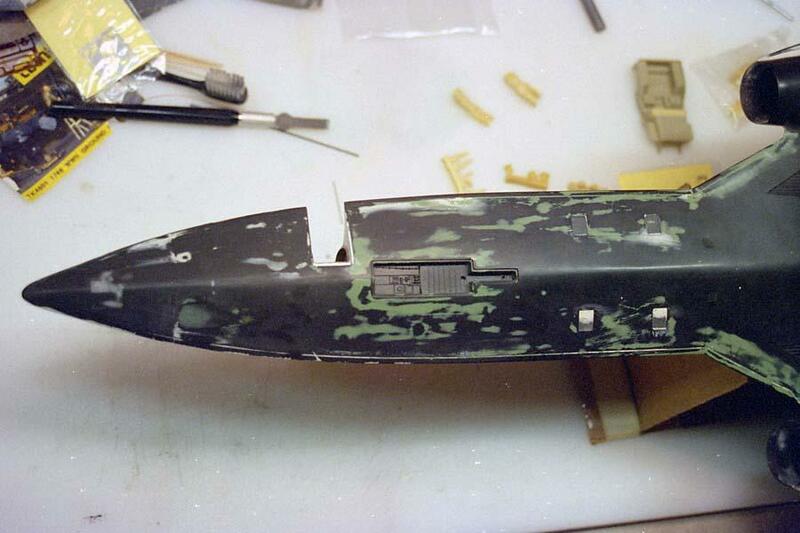 The foyer and boarding steps are scratch built, the door is made into one piece from the two Falcon-10 parts. The decals are from several of the Airliners International (long OOB) sheets. The paints are custom mixed to match the decals using Testors Enamels. 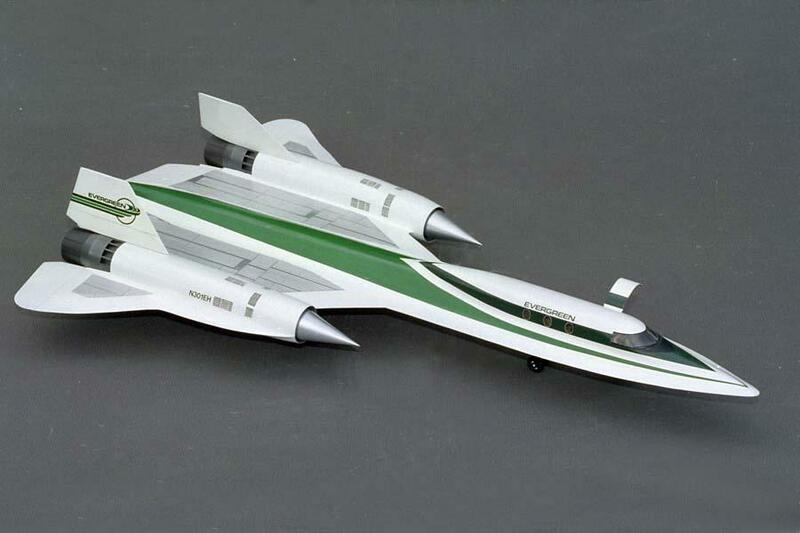 Yes, there is a Blackbird Bizjet (version 2). I like the concept and the build mate! 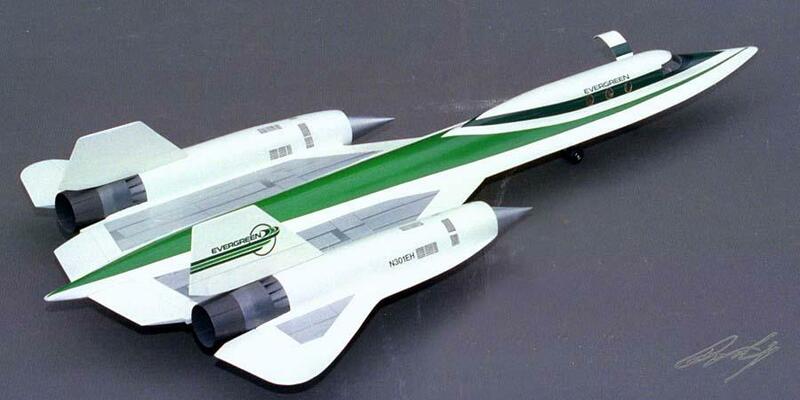 That would be a great way to travel, I want one! Imagine a trans-Atlantic flight in that. 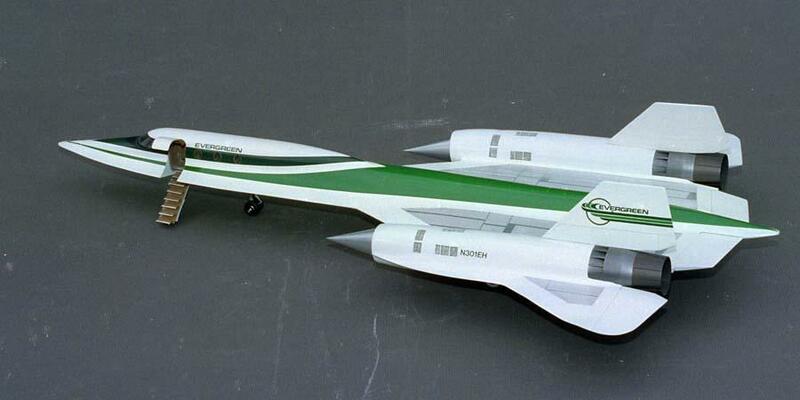 Poor Concorde would have been relegated to a distant 2nd place. I love these kind of “what if” builds. NIce build and a great looking paintjob. Keep ‘um coming, Bruce! Nice series. When you absolutely, positively need to get there yesterday! The color scheme is fantastic! Is there something similar on the belly? Thanks all for the kind words, much appreciated. I had a day free to post, now back to work for the next five weeks, so no time to post or follow. Frown# See ya’ll in five weeks! Another beauty. 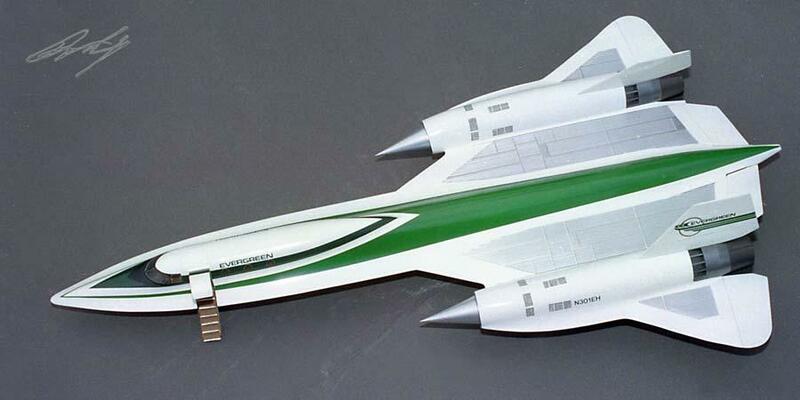 I sent both of your SR.-71 concepts to a friend of mine. His name is LtCol B.C.Thomas, USAF retired. He flew the SR. Google him FYI. 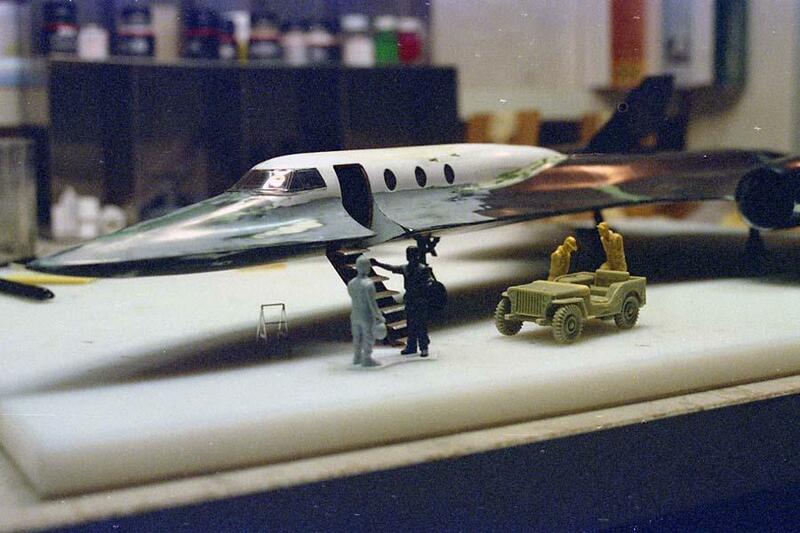 Well, Bruce … it’s 4 years since the last post, but it’s still a great looking model … as are the other “What If” – SR71s.